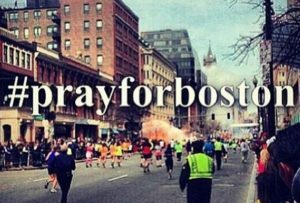 WASHINGTON — The surviving Boston Marathon Bomber, Dzhokhar Tsarnaev, could face the death penalty for his heinous act of terrorism that killed 3 people and wounded and maimed 264 others last year. Reuters reported that embattled U.S. Attorney General Eric Holder authorized federal prosecutors to seek the death penalty for Tsarnaev. Dzhokhar and his older brother Tamerlan planted bombs at the finish line of the Boston Marathon, which went off, killed 3 people and wounded and maimed 264 others. Part of Holder’s announcement read, “The nature of the conduct at issue and the resultant harm compel this decision.” The action was filed with the U.S. District Court in Boston, Massachusetts and also included that a death penalty will be sought because the bombing was premeditated and Dzhokhar was not remorseful.